My CrossFit Life…The Ups and Downs of Modification! Despite being in a protective boot and modifying just about every CrossFit workout for the past three weeks…I get more bad news! A repeat visit to my Podiatrist and a MRI of my foot tells the story. I am told that I have two stress fractures in my foot and will have to give up all impact sports. Having been a marathoner and passionate about exercise…this was hard news to bear. 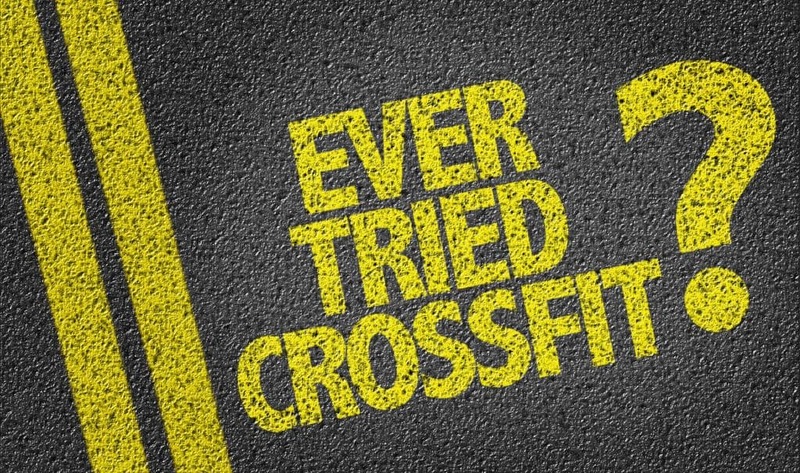 Should I give up CrossFit altogether? Can I still get a good workout without any jumping or running-type exercises? These are the questions I have been asking myself for the past 8 weeks! CrossFit taught me a lot about functional fitness, proper exercise technique and the value of being part of a like-minded group of people. All of these benefits were tugging at my heart and body. They screamed out…KEEP TRYING! I received a lot of encouragement through all the boot workouts. My coaches were all patient with me despite major modifications of each workout. I began to wonder if CrossFit was really just for young people although I had seen a lot of success with all age groups. My situation was very unique. High impact exercises could not be incorporated into my fitness. This presented challenges. When the WOD (work of the day) involved jump roping, jumping pull ups, running, box jumps, or any other type of impact…I would have to make a major modification. These modifications resulted in a pretty good but not great, workout! I really felt that the progress I had made in the first few weeks of CrossFit was beginning to lapse. I refused to let this obstacle stop me from exercising. I began to seriously consider other forms of exercise that would allow good cardio and muscle strengthening without any impact. I made a list of non-impact sports that would still give me the benefits I had seen with CrossFit. I discovered high intensity workouts can be incorporated into my fitness lifestyle…I can still do sports while protecting my foot! Swimming, biking, walking, golf, and skiing….are just a few that came to mind. Because CrossFit does not include swimming, I reluctantly decided to make the transition to a regular gym with a pool. That meant I had to say goodbye to my CrossFit family. I had only been with my CrossFit family for a few months…but gained some lifelong relationships with some really great people. Adaptability…and a positive attitude are two key factors important in any exercise program. One never knows when injury or illness will side-rail your current fitness plan. Being able to adjust and come up with a new plan is vital. I am thankful for the time I spent in CrossFit…the knowledge, friendships, and techniques that I gained are invaluable. I am hopeful that I can share these values with others in my new adventures. Watch out for me on the golf course or the ski slope! You never know what’s next! Credits to Judy Terry Casper for this article. Urban62 Marketing provides marketing copy for businesses specializing in the fitness and healthcare industries. Marketing copy that is persuasive. Marketing copy that enables those businesses to drive more traffic and increase sales. © 2018 Urban62 Marketing. All Rights Reserved.